A Personalized 5 Stone Mothers Ring makes for a beautiful gift every mom would treasure. But usually they are cheesy, over the top, and just plain ugly. 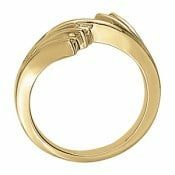 This 5 Stone Mothers Ring is elegant enough to also be work as a cocktail or right hand ring, but can still represent your loved ones without screaming mothers ring to anyone who sees it. It is shown with 2.7mm stones, but it could be made with larger or smaller stones. We think 3mm is the perfect size, but it isn’t our ring! ACCENTS: 1/3 tcw as shown. A wide variety of stone types is available. 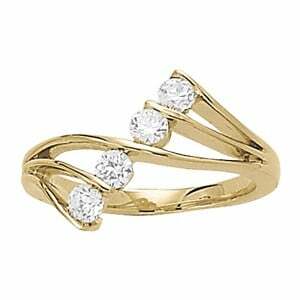 The starting price is for a 5 Stone Mothers Ring in Gold with SI1-2 and HI color diamonds. Click HERE to see another Mothers Ring design or contact us with your idea for a 5 Stone Mothers Ring. You will be glad you did!